Want a Cigar? I'll Get It Nice and Juicy for Ya. "I stopped smoking cigarettes. Isn't that something? I'm on to cigars now. I'm on a five-year plan. I eliminated cigarettes, then I go to cigars, then to pipes, then to chewing tobacco, then the nicotine gum." 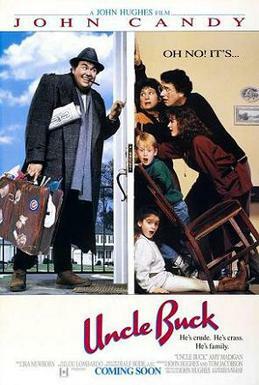 Apparently, teenagers are now on Uncle Buck's five year plan. They are moving from cigarettes to cigars. Comments on "Want a Cigar? I'll Get It Nice and Juicy for Ya."